Myomo started in the lab of Professor Woodie Flowers at MIT, who’s probably best known for being the founder of First Robotics. Two of his researchers developed a robotic solution to help people who suffer from neuromuscular disorders move again. Working with the local rehab hospital in Boston, they showed that they could help someone with a spinal cord injury overcome gravity and get their hand to their face when they otherwise could not. 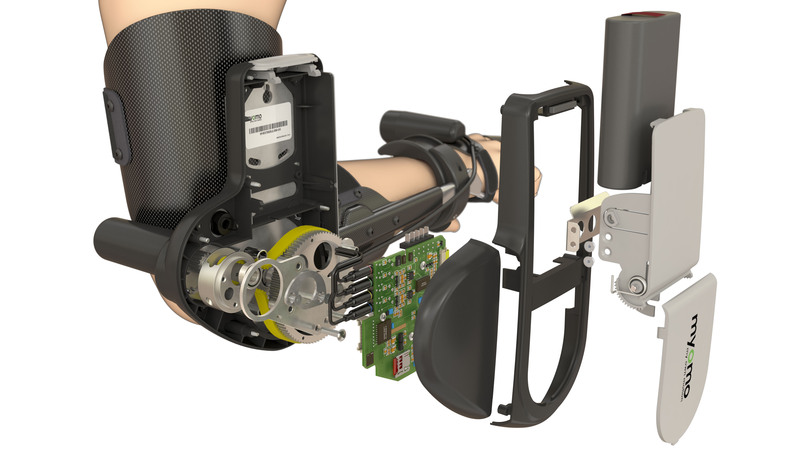 The MyoPro is an upper extremity powered orthosis; or an exoskeleton that you wear over your arm and it can help you move your arm to perform daily tasks, like opening doors or lifting laundry baskets when you’re otherwise unable. It uses sensors that can detect when a user attempts to exert their muscle and it uses an electric motor to move their arm for them. The MyoPro is a custom-made device for each person. First, a cast is taken of their arm to fabricate the proper fit. Then device settings are tuned specific to the amount of help that person needs to address their specific medical profile. 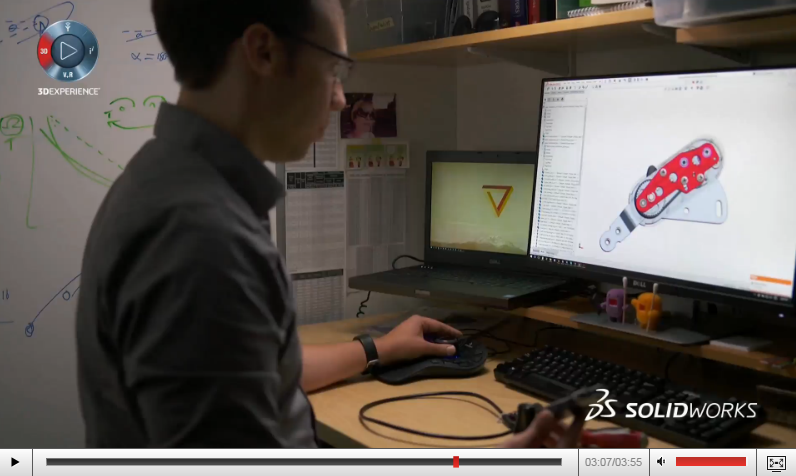 Watch the video to see how the MIT spinout used SOLIDWORKS solutions from the very beginning to design every aspect of the device, collaborate with business partners, and fulfill regulatory requirements for medical devices. Click here to watch the video (registration may be required).